I decided to give myself a bit of a challenge, this week. Flush with the (relative) success of enrobing some pretty nice looking cubes of ganache, topped with gold transfer sheets, and upon presenting these bonbons to my grateful students, who could not quite believe I had actually made them, I thought I would notch it up a bit, this week. I am venturing outside the relative safety of the ganache cube. In mathematical terms, I am going off the grid. I am veering away from the safety of the smooth-sided cube and venturing into the realms of the rough and hairy, the slippery and squishy and the slightly oily. 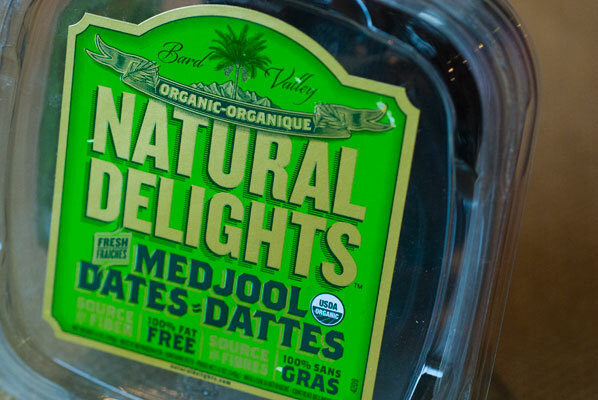 Clearly, I am having a craving for exotic fruits and nuts. Probably has something to do with the “last gasp” of winter we are having. 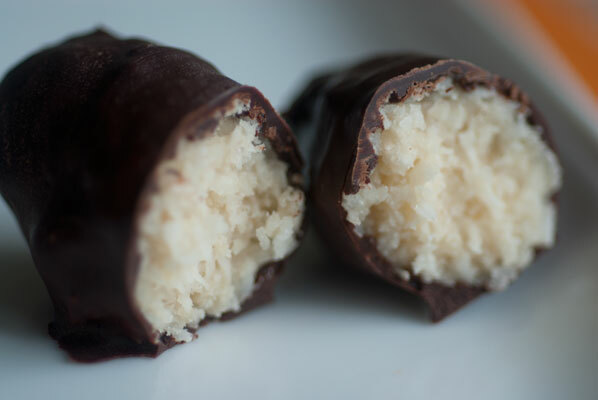 The coconut centres are to be of the “Bounty Bar” type (one of my favourite guilty pleasure chocolate bars). I figure even if these turn into a sludgy mess in the bottom of the tempered chocolate, I will scoop them out with a spoon and eat them. I realize people either love coconut, or hate it. I am definitely in the former category, although I am very grateful for those folks in the latter, when it involves sharing a Bounty Bar. 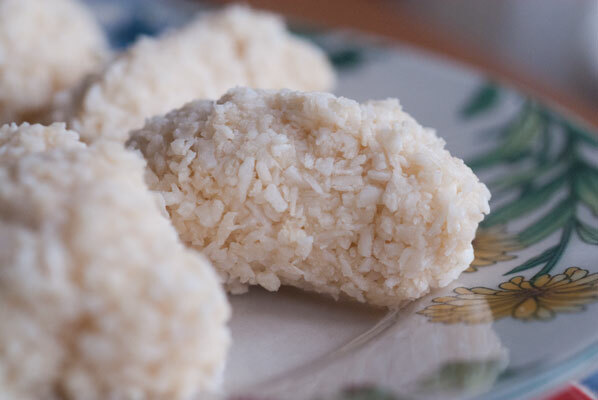 I was able to find a nice little recipe, for the centres, here at the wannabechef’s website. I used Bob’s Red Mill Unsweetened and Unsulphered Coconut, maple syrup and butter. There is something so satisfying about squeezing this mixture in the palm of the hand, but it definitely has its quirks. I tried rolling it after squeezing, to round off the pointy bits, but it was having none of that, and fell apart. It seemed to be most stable in a “Brazil Nut” shape (a sort of rounded, 3 dimensional triangle), which is easily achieved by closing a hand around the mass, giving a vigorous squeeze, and pushing in with a thumb, on either end. Highly technical. These are then popped into the freezer for 10 minutes, while I prepare the other centres. Next,the dates. 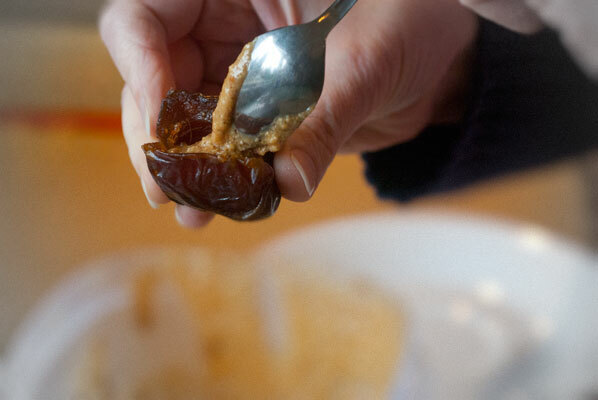 I absolutely adore Medjool dates. They are like a piece of fudge and it could be argued that covering them in chocolate is gilding the lily, but I love a good gilded lily and so am taking it one step further. After “filleting” the dates (taking out the pit), the remaining cavity is the perfect size for filling with some homemade organic hazelnut butter. 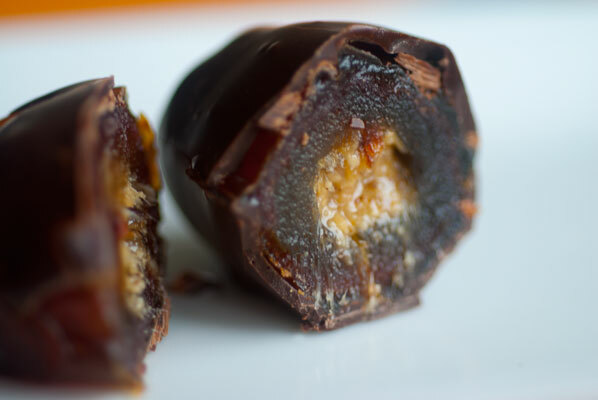 This was made from the 6 ounces of ground hazelnuts I had left over after making Hogmanay Scotch Truffles. These toasted hazelnuts had been in my freezer since December 31st, but they smelled fragrant, and after 5 minutes in the food processor, had turned into a lovely tasty nut butter. 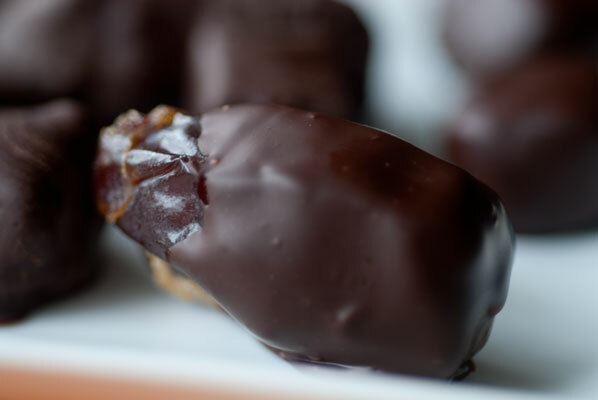 Once the dates are stuffed with the hazelnut butter, I give each one a quick pinch to make sure they are sealed, and scrape off any excess which has oozed out the sides. They too, go into the refrigerator, to “set, for five minutes. 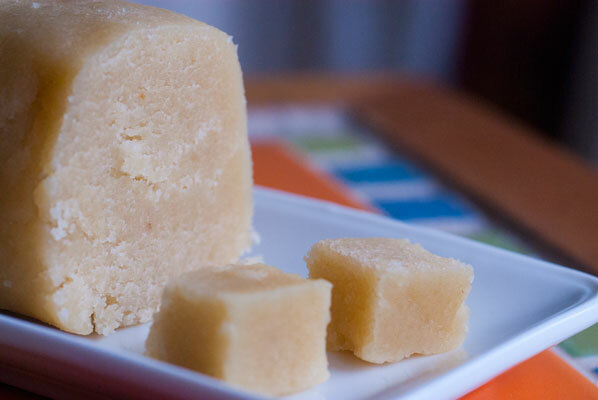 Speaking of frozen food, it was the log of marzipan I have had stored in the bottom of my freezer since Christmas 2010 (yes, that is correct – 14 months!) that started me off, on this week’s topic. After moving this triple wrapped and bagged log of marzipan around for over a year, every time one of us goes to get something from the freezer, and having it almost heated up as a frozen baguette once, I knew it was time to do something with it. And of course, I was hedging my bets, because I had the other two centres prepared, so even if this one was an “Epic Fail”, hopefully I would have better results with at least one of the others. 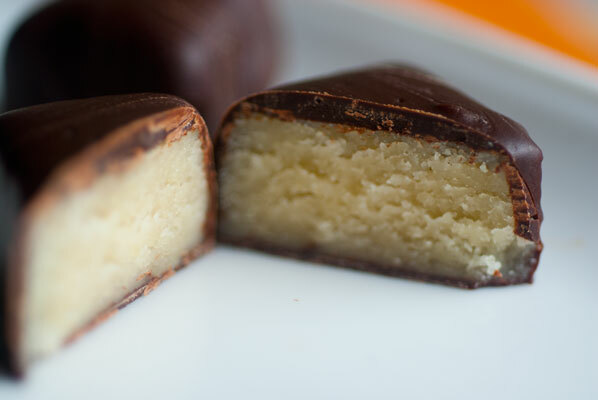 This is also, I should explain, no ordinary marzipan. The recipe has been handed down through generations of mothers to daughters. It was graciously given to me by our lovely Stage Manager last Christmas, while I was working on a play at the Arts Club Theatre. At the time she told me that “even marzipan haters love it”. It made far more than I bargained for, as I was only sculpting a couple of marzipan pigs, so the rest was relegated to the “I’ll get around to it” depths of the freezer. And now, it will receive proper treatment by being coerced into cubes and enrobed in tempered chocolate. How will it taste? Ah. Yes. We shall see. It has thawed quite nicely overnight, in the refrigerator, and I am able to slice sections, which are then cut into cubes. Not one to waste any of it, I squish the remaining bits into cube shapes as well, and it joins the other centres, each on a plastic cutting mat, ready to be moved into position for enrobing. I set up my station, remembering from last week that I had to switch everything around in the middle, so I am careful to set everything up with the “flow” from right to left (as I am left-handed, finishing with the Silpat mat, on which the just enrobed centres will land. Another opportunity to practice tempering, using dipping forks, the “slap the surface to get good pull down” technique (enrobing), and especially, to use My New Toy – the “Cheatar” my partner made me, last week, which works so well to gently scrape excess chocolate off the bottoms. I am using Cacao Barry Tanzanie Origine Rare 75% chocolate, again this week, as I really enjoy its fruity dark flavour. 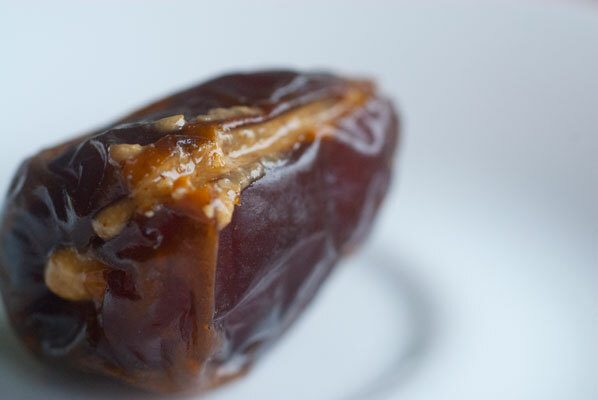 The dates go in first, and I am thrilled at the way they turn out. 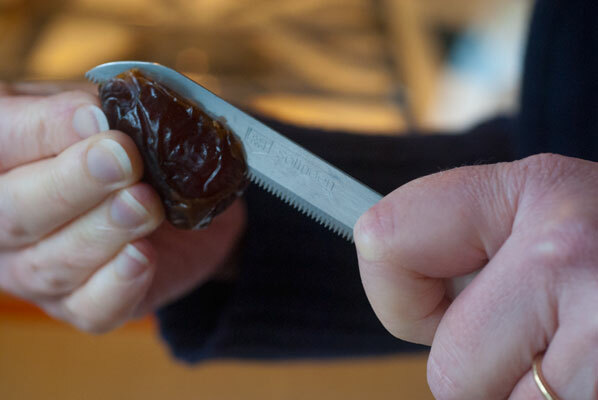 It is of course, so much easier to grasp the end of a date, than balance a cube of ganache on a dipping fork, but I use the same “slap the surface” technique to pull the chocolate down around the date, and scrape it gently once over the Cheatar, before laying it on the mat. Beeootiful. I help the chocolate stay in temper, by slipping the bowl onto a heating pad, set on low, covered in a tea towel. I like this method so much better than a bain marie, for fear of moisture, although I am sure other students would disagree. Once the dates are completed, I give the chocolate a brief stir, check it for oil or lumps, and pick up the first coconut centre. These are definitely trickier, and I have to redo several pieces , as I keep missing spots on the rough surfaces, as I flick the chocolate over the tops. 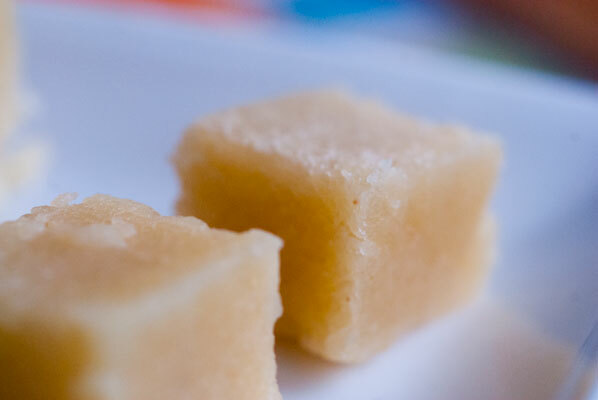 They are also much larger than ganache cubes, and do not balance very well on the tines of the dipping fork. I think next time I try these, I will just use a regular dinner fork . Hmm, my chocolate is thickening, it seems to me, so I pick up my speed. Perhaps not the best idea, as speed is never my friend, but I am on to the marzipan now, and they are surprisingly easy to dip. 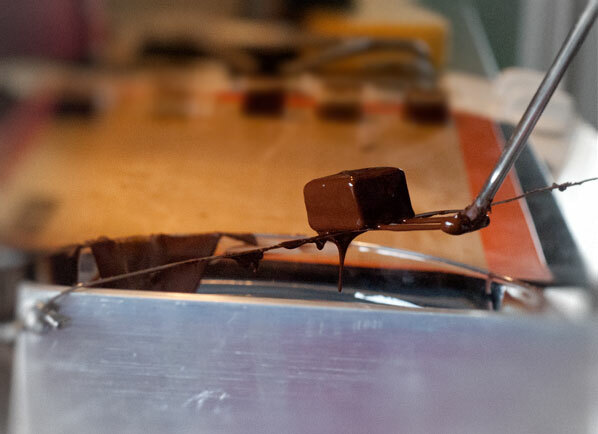 Sturdy, but definitely oiler than ganache. look pretty, and the chocolate covering is glossy and even. They appear to be well tempered. The texture and taste are terrific. Not so sweet as commercial varieties, a little drier – but in a good way. The slight maple flavour is very pleasant. I will try to figure out a way to make them smaller, next time. These will be dangerous for me to have around. I have already “sampled” three of them. Did I mention how GOOD it is? So, on the whole, a very satisfying and delicious week, with no Epic Fails. Which just goes to prove, sometimes it is very sweet to think “outside the cube”.